Sometimes the recipes that I post on this blog come to me in a flash of inspiration. Roasted strawberries and coconut, yes! Sometimes, they are developed from necessity, like needing to get rid of overripe bananas. But sometimes, there’s something that I make so often, that I decide it’s cheating if I don’t share. This recipe is an old friend. It never lets me down. It can be used in (almost) any situation. If I had this recipe written down, the card would be battered and splashed. I make this so often that I don’t even think of it as a recipe. It’s mostly just mushrooms, embellished a little with a splash of this and a sprig of that. The proportions are entirely adjustable. The recipe below is for the side dish version, eaten as-is. I have also written down some variations that I have used the same mushrooms in. They require a little bit of adjusting. I always think of my mom when I make these, because she loves mushrooms. She will always order the most mushroom-heavy dish at any restaurant. A couple of weekends ago, I finally got to make these for her. 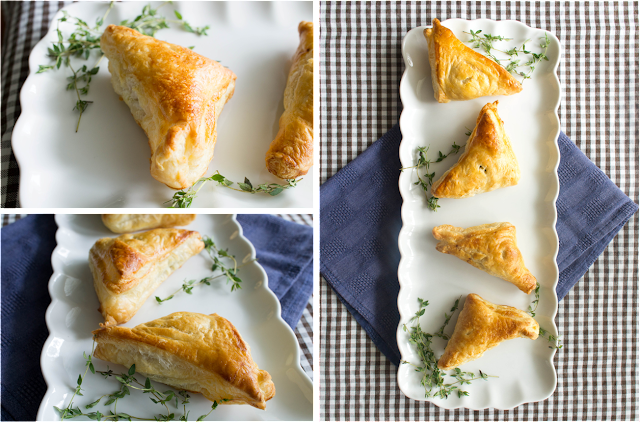 I used the hors d’oeuvre adaptation and made little puff pastry triangles filled with the mixture. She loved them. We all loved them. Everybody loves these! Hyperbole intended. 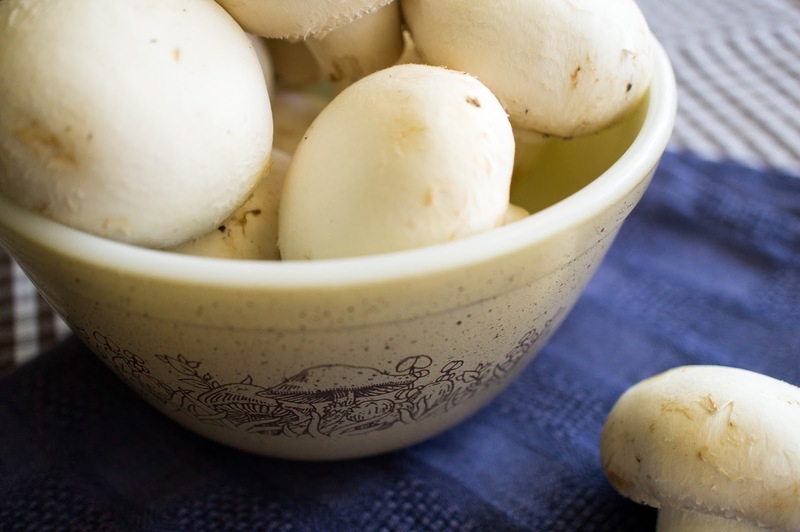 Slice the mushrooms into manageable pieces. In a large frying pan over medium heat, melt the butter with the oil. Once hot, add the mushrooms. Sprinkle with salt to bring the water out of the mushrooms. Stir occasionally. Once most of the water has evaporated and mushrooms are starting to brown, splash in the brandy (it will sizzle!). Let that evaporate off. 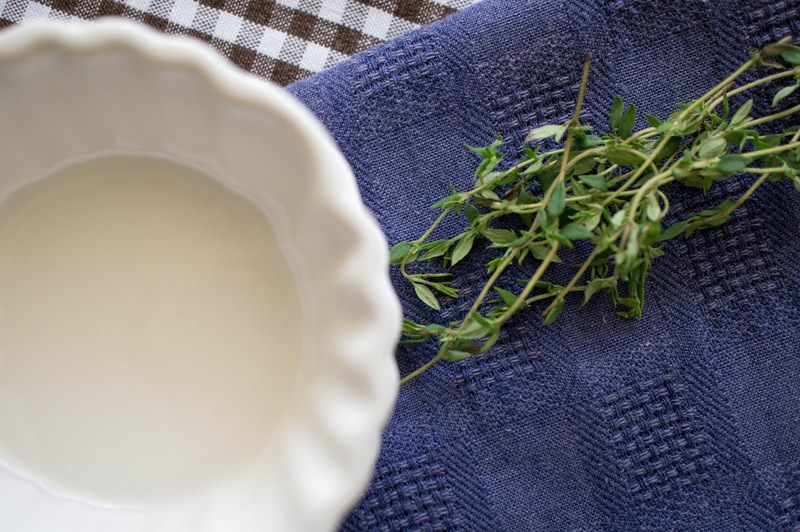 Add some fresh chopped thyme, as much or as little as you like. Once the mushrooms are as brown as you would like them, remove from heat. Add a splash of heavy cream just to bind them. Season to taste with salt and pepper. Leek and mushroom soup: Finely slice the white and light green parts of 3 leeks. Caramelize over low heat for ~30 minutes until soft and brown. Add mushrooms and proceed as above. Skip the cream, instead add 6 cups of vegetable broth. Simmer for 20 minutes. 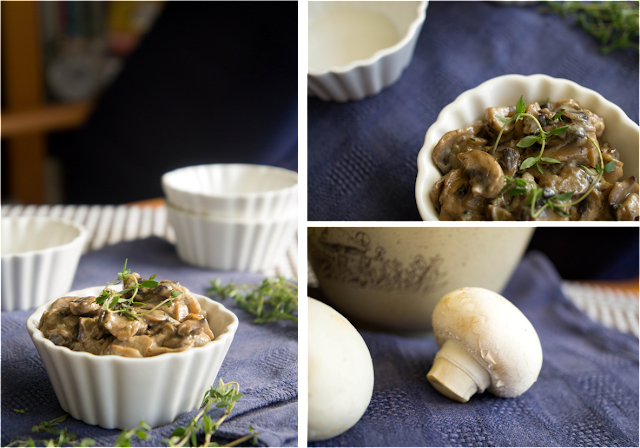 Mushroom hors d’oeuvres: Before adding the cream, sprinkle 1 tbsp of flour over the mushrooms and stir in. This will thicken the mixture once you add the cream. Fill puff pastry triangles with ~1tsp of this thickened mushroom mixture. Egg wash the triangles and bake as directed on the puff pastry package (or the recipe, if you’re ambitious and you made your own!). 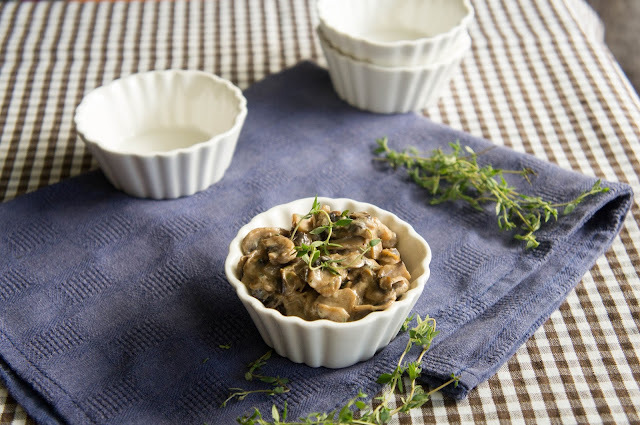 Mushroom hors d’oeuvres 2: Use the same thickened mushroom mixture as above. Bake phyllo pastry in a mini-muffin pan as directed on the package, to get little phyllo cups. 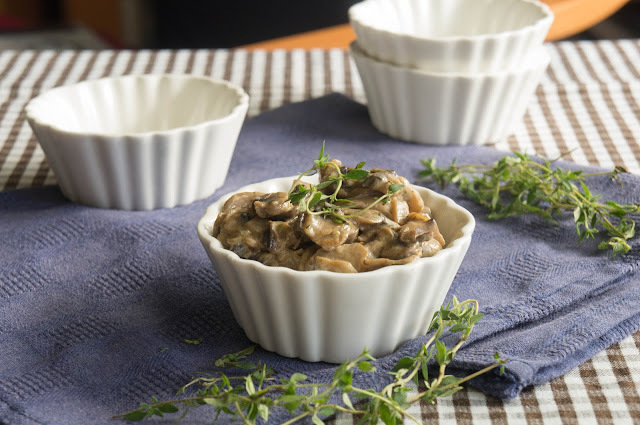 Fill each with 1 tsp of crumbled goat cheese and top with warm mushroom mixture. Grate on some parmesan cheese.